Review: The Red Shoes. Matthew Bourne’s New Adventures Company. Nottingham Theatre Royal. – East Midlands Theatre. 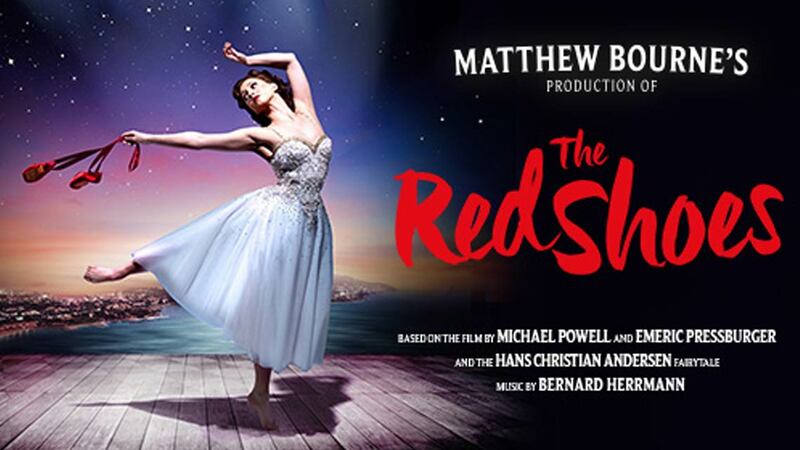 In an exciting and welcome arrival at Nottingham Theatre Royal Sir Matthew Bourne’s The Red Shoes is a magical exposition of storytelling through ballet and contemporary dance styles. It is performed by Bourne’s ballet company New Adventures which celebrates 30 years in the dance business this year. The show is based broadly on the 1948 film by Michael Powell and Emeric Pressburger and the Hans Christian Anderson fairy tale. The music is set to a new score arranged by Terry Davies using the mesmerising music of golden age Hollywood composer Bernard Hermann. It is re-orchestrated for this ballet and full of ominous waltzes, a tango, sweeping romantic rhythms and an emotionally engaging score in differing styles. The sumptuous Grand Guignol rotating proscenium arch forms the central set piece and there are amazing period perfect costume designs courtesy of Lez Brotherston . All is dramatically enhanced by the richly considered lighting design of Paule Constable and a terrific soundscape by Paul Groothuis. The Red Shoes modern ballet section is particularly impressive as projections take us into a nightmarish world of storms, scudding clouds and fleeing birds on high whilst the black and white costumed dancers whip up a dance storm below. The black and white costumes of the cours de ballet and imagery contrast brilliantly with the principle dancer’s (Ashley Shaw) red shoes and her richly embroidered colourful costume. The Red Shoes is the story of a girl called Victoria ‘Vicky’ Page (Ashley Shaw) who lives to dance and fervently wishes to become the greatest dancer in the world. Alas her ambitions become the battleground between the two men who inspire her passion. The show is set in London, Monte Carlo and Villefranche -sur-Mer in the late 1940s and early 1950s. Tyrannical and indifferent ballet impresario Boris Lermontov (Sam Archer) talent spots Victoria Page and commissions composer Julian Craster (Chris Trenfield) to compose a ballet based on the Hans Christian Anderson fairy tale. After the older prima ballerina Irina Boronskaja (Michela Meazza) injures herself Victoria is thrust into the leading role of The Red Shoes only to discover that the titular dance footwear is cursed. Then, as she is falling in love with the composer, she has to chose between her new love and her dance career. She and the composer are summoned out of the ballet company by the jealous Lermontov and told, never to return. Returning to London to be with Crastner she ekes out a career dancing in a seedy music hall. In this production there is a lot of humour centred around the acts sharing the bill with Vicky. The chance of dancing the lead again for the increasingly jealous Lermentov lures her to return to his ballet company to dance once more in The Red Shoes. Crastner pursues her to plead with her to return to him and in a ‘tug of love over career and lover’ her confusion and indecision means that fate deals a cruel blow. A woman’s complaint that her shoes are ‘killing’ her might well come horribly true in this story. The original film inspired many dancers and creatives over generations to become a dancer themselves or to peruse a creative career. 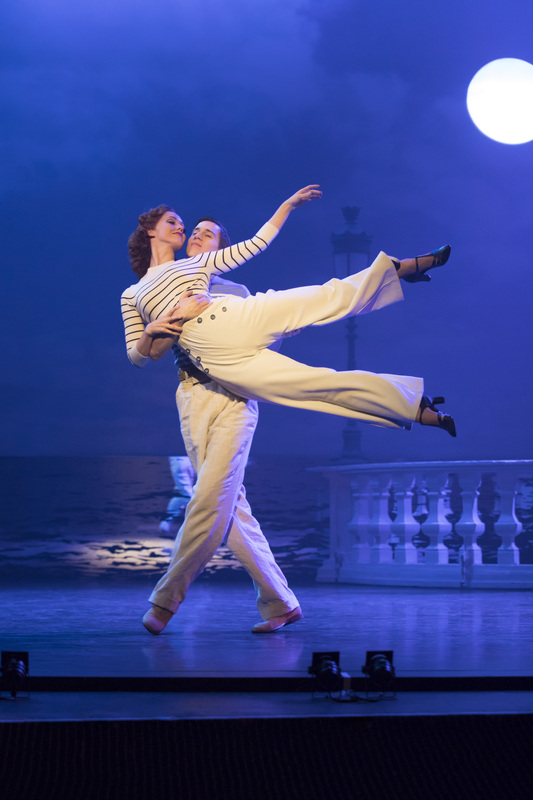 Sir Matthew Bourne’s lush version seduces and inspires even further. His principle dancers Archer, Shaw and Trenfield are truly magnificent. Shaw conveys all the sweetness and the terror of Vicky in a tour de force of a performance. Of the men, Trenfield’s composer character Craster has real depth and agility and is particularly good in the scene where inspiration takes over him in creating The Red Shoes ballet. Archer broods magnificently but not so much that he becomes the cartoon villain. Even though this is a fantastical fairy tale Archer still imbues Lermontov with some humanity and credibility especially in his moments of deep jealousy. Bourne has said that he has loved the Red Shoes film since he was a teenager and his challenge in creating the piece was to capture some of that surreal sensuous filmic quality within a more natural theatre setting. So does it work? Well, unanimously, yes. The Red Shoes is one of the most accessible ballets this reviewer has ever witnessed. Whilst some ballets can get carried away with the beauty of the dance to the detriment of any story to be told Bourne’s The Red Shoes is tight to the storytelling. Each fantastic scene and the dancing therein allows the story to unfold naturally with no excess of dance execution. The scene changes are brilliantly executed and imaginatively constructed and we glide from one dramatic moment to another. At times it feels like one is watching a very vivid film. It is about the tough world of dance with a demanding Daighilev type at its centre. All the cours play various stock characters one might find in such a company of the 1940s and much humour is had in their interactions. The dancing, governed by Bourne’s light touch is sublime in all parts of the show. 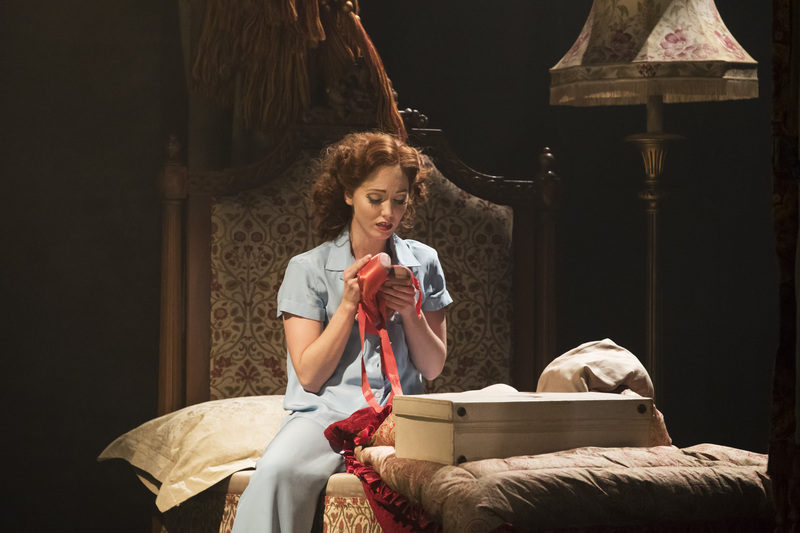 The Red Shoes runs at Nottingham Theatre Royal until 11th March. Review: Joe Orton’s What The Butler Saw. Curve. Leicester.